Robyn Raboutou climbing in the Avers Valley, Switzerland, with her daughter Brooke. Robyn Erbesfield was one of my heroes back in 1988, when I began climbing. 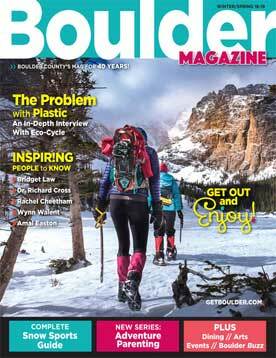 I seemed to read about her competition and sport-climbing success in every magazine. Today, she climbs harder than ever and has raised her children—Shawn, 16, and Brooke, 13—to follow in her chalk marks. Since Robyn (now Raboutou) first crammed her feet into leather shoes with sticky rubber soles, the sport of climbing has changed dramatically. But climbing’s allure—the friendships, the struggle, the athleticism—remains the same as it has always been. If risk gives climbing its spark, then the extraordinary trust between partners fuels the fire that transforms climbing into a lifelong passion. And we’re finally seeing how that passion plays out as Brooke, part of America’s second generation of elite rock climbers, partners up with her rock-star mom. 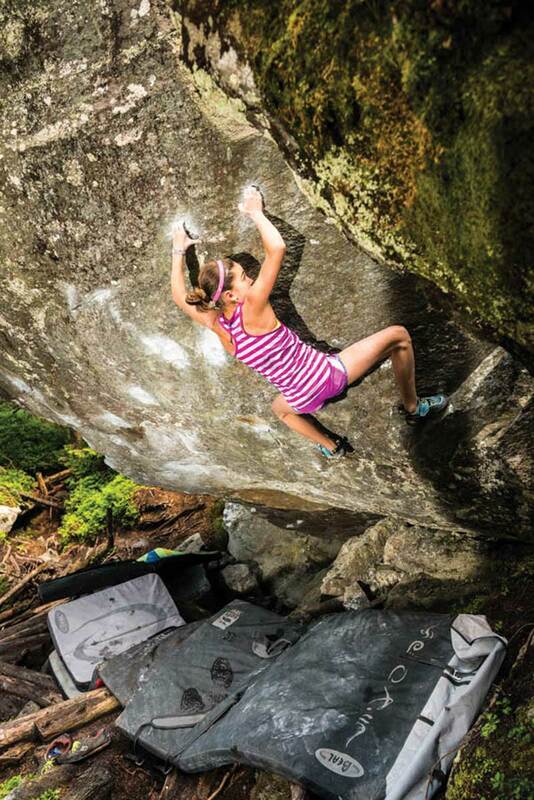 Robyn Raboutou was 18 years old when her high school boyfriend taught her to climb. “The first few years were spent living for the weekends to climb outside,” says Robyn, who grew up in Atlanta. In the meantime, they trained on a homemade “crack machine”—a wooden structure that simulates crack climbing—in his parents’ garage and on fingertip holds screwed onto the roof. Her training paid off. In 1989, eight years after learning the sport, Robyn won her first World Cup competition (conducted on an artificial wall), taking third place in the overall circuit. In 1992, she began an unprecedented winning streak, taking the overall World Cup title four years in a row. Robyn’s performance on real rock also peaked during that time. 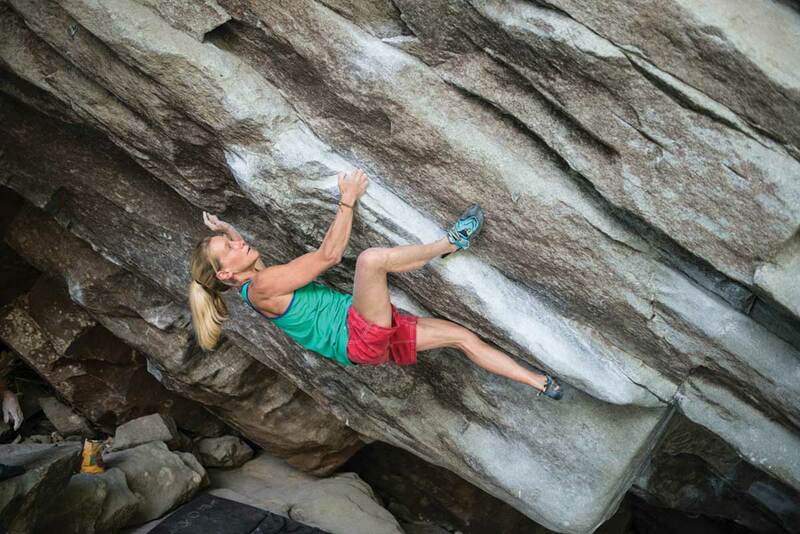 In 1993 she became the first woman in the world to climb a route rated 5.13c on her first try, without prior knowledge of the moves, and the third woman ever to tick a 5.14. And that year she married French rock star Didier Raboutou, another world-class climber. 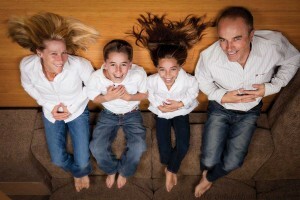 The couple had their son, Shawn, in 1998 and Brooke in 2001. 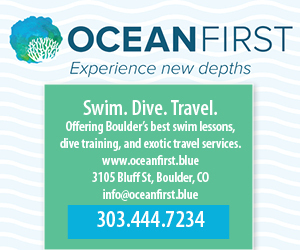 Didier left the sport years ago, but Robyn, now 51 years old, continues to push herself, squeezing in her personal climbing time between coaching Brooke and the other students at ABC Kids Climbing, a training facility in Boulder she and Didier founded. 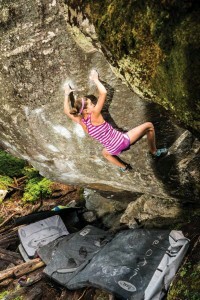 Brooke first climbed as a 1-year-old, and at 8 she began setting records for being the youngest female to achieve several difficulty levels in bouldering and sport climbing. In 2012, at age 11, she became the youngest person ever, male or female, to succeed on a route rated 5.14b when she climbed Welcome to Tijuana in Rodellar, Spain. Chris Weidner first climbed as a 14-year-old at summer camp. Now, 26 years later, he’s still learning how to move well, train harder and control his fear of heights.